Another budget-friendly, off-contract device is available for American buyers this morning, the nubia 5s mini LTE from ZTE. The device is available through pre-order for US consumers directly from Amazon for the price of $279.99. As for specs, don’t expect to be blown away, but one thing the phone does have, is LTE connectivity. The nubia 5s mini LTE features a Sharp-made IGZO 4.7″ HD display, Snapdragon 400 quad-core processor, 2GB of RAM, 13MP rear-facing camera, 5MP front-facing, 16GB of onboard memory, microSD for support up to 32GB of storage, 2,000mAh battery, and 4G LTE connectivity on T-Mobile and AT&T. The ZTE device doesn’t seem all that bad on paper, and may actually be a good buy for those who enjoy off-contract prices, but don’t need all the fancy specs. ZTE in its marketing material mentions the device’s camera quite often, hoping to make the mobile photography community swoon. As for the camera’s features, it has a few different modes (Pro, Auto, Fun), but delivers “DSLR-like” controls and professional quality photos. For those interested, a link to Amazon’s pre-order page is below. 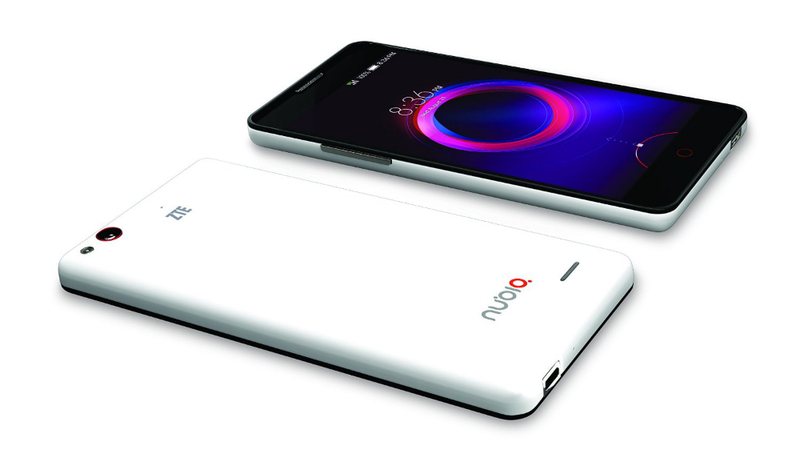 Richardson, TX, August 20, 2014—ZTE USA, one of the fastest-growing smartphone manufacturers in the United States*, today announced the nubia 5S mini LTE will be available unlocked beginning August 27 and for preorder today, online at Amazon.com for $279.99. The phone’s 13 megapixel rear-camera and 5 megapixel front-camera capture HD video and high-quality images effortlessly with intelligent settings, DSLR-like control and photo editing and effects once reserved for third party apps. The sophisticated camera platform and LTE speeds are matched by the phone’s thin, light build and Qualcomm® Snapdragon™ Quad Core processor. The nubia 5S mini LTE smartphone camera software has distinctive independent control of focus, light metering and white balance functionality. It is one of the first widely available phones that has both a 13 megapixel and 5 megapixel camera. The advanced combination of hardware and software capture images that are truer to color as the eye sees and produce excellent dark field, macro and color reproduction. The phone offers three camera modes, Fun, Auto and Pro, for virtually any scenario or user – from first time smartphone owners to award-winning smartphone photographers. The compact, slim design at only 4.52 ounces makes the nubia 5S mini LTE the perfect travel companion – wherever in the world it goes. As an unlocked smartphone, carrier and contract restrictions do not apply – roam free and upgrade when you want. For those seeking the most flexibility, avoiding a two year contract or wanting to upgrade now, the nubia 5S mini LTE is a smart choice.